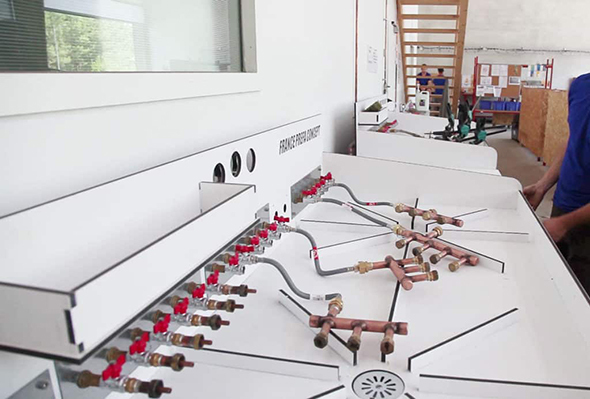 Prefabricated plumbing specialist, FLOVEA allows manufacturers and plumbers to simplify and sustain their plumbing work on site. Our company’ solutions are secure, sustainsable and efficient. 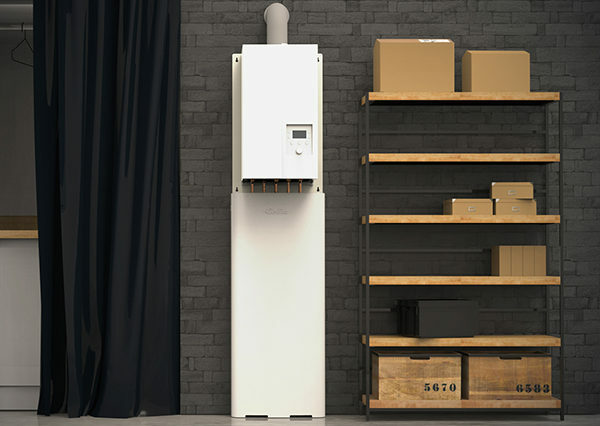 They are aimed to manufacturers and plumbers that are feeling responsible for the sustainability of their sanitary and heating facilities. FLOVEA performs a constant technological watch on its core of business and is committed to creating innovative technologies through partnerships signed with laboratories and research centers. 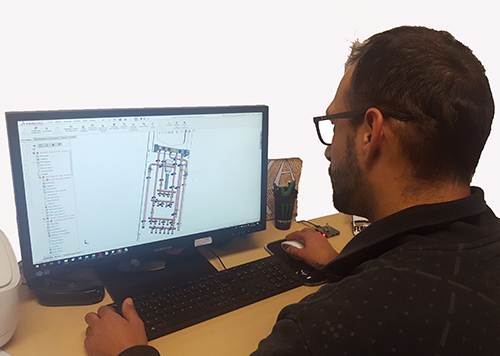 Our prefabricated plumbing is a unique technology that our R&D dept has set up and is constantly working on to improve and ease the work on site. 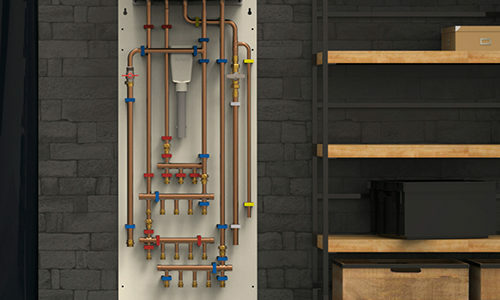 Our company has recently developed FLOWBOX Interactive, a smart plumbing system that combines home automation and hydraulics. You’ll find out more about it by clicking below. Each item is modelled in CAO with a 3D design software to constitute the assembly of products marketed by FLOVEA. We systematically offer all of our products either in a digital model or in a simpler form to allow you to visualize the product once delivered.